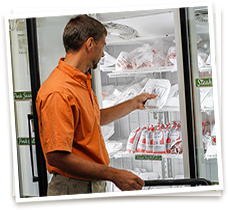 Sunrise Farms Is Your Local Expert Producer Of High Quality Non-GMO Feed For Livestock And Poultry. 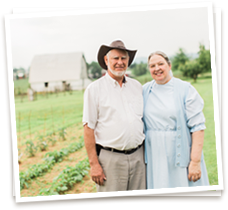 Sunrise Farms Non-GMO Feed Promotes Healthy Animals With Improved Nutrients And Minerals. We blend whole grains with Fertrell organic mineral compounds to support animal health and natural growth. We formulate each type of feed to the specific needs of those animals and their stage of life. We prepare non-GMO starter feed to support the nutritional needs required for a healthy foundation. Our non-GMO feed for layer hens supports egg health. 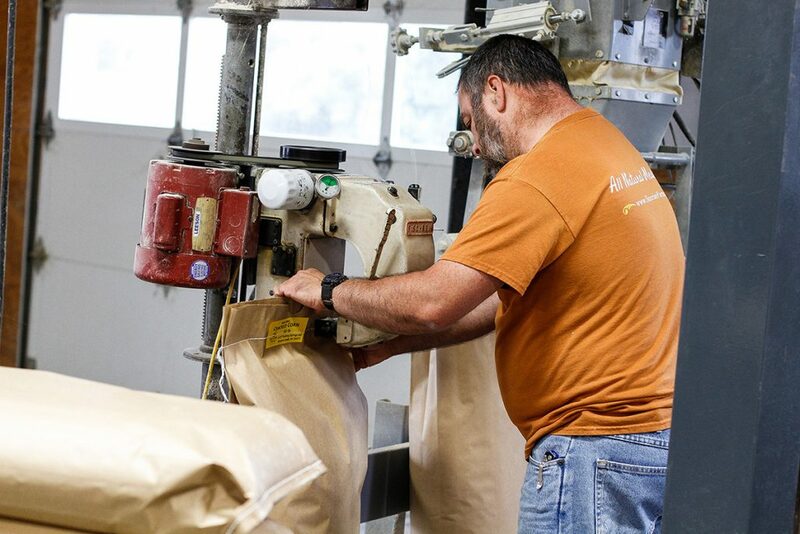 Because we operate our own mill, we offer custom blends for your specific animals. A measure of success comes from our customers telling us time and again that their animals like to eat our feed. We strive to produce feed with freshness and textures that attract animals to the taste and nutrients. Pick Up Our Non-GMO Feed, Receive Delivery, Or Arrange Shipment. Call ahead to order your non-GMO feed in all quantities and we will prepare it for you to pick up at our storefront. We offer regional feed delivery and feed shipping to the contiguous United States. In addition, we supply feed dealers throughout the east coast. Feed is sold in 50lb./22.68kg bags and by the ton. Contact Us For Non-GMO Feed Today.